Holkham is a unique and prestigious venue for corporate events. A magnificent Palladian house at the centre of a 25,000 acre privately owned estate on the north Norfolk coast. A magnificent Palladian house at the centre of a 25,000 acre privately owned estate on the north Norfolk coast, Holkham is the ancestral seat of the Earls of Leicester and the Coke family who have lived here since the 1750s. Holkham is a unique and prestigious venue for corporate events, including directors’ meetings, conferences, presentations, product launches, ceremonies, dinners, company parties, celebrations and team building days. 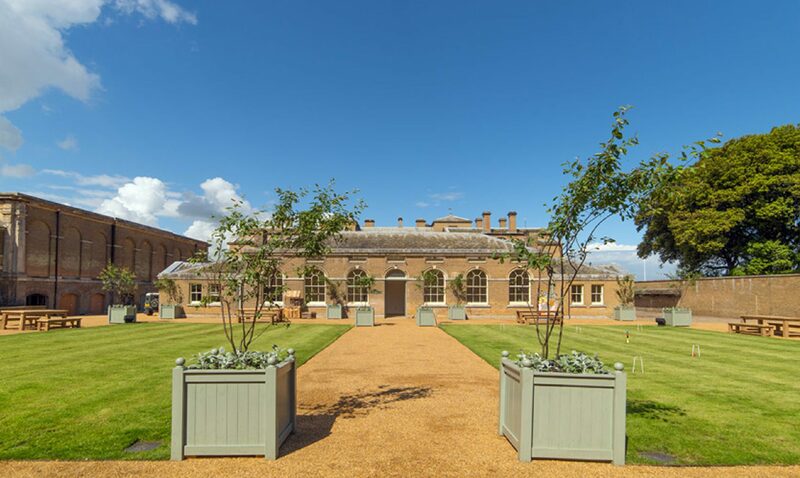 In summer 2016 they opened a new wing at Holkham Hall, The Lady Elizabeth Wing. A dedicated events venue in the old pottery building near the hall, which offers state-of-the-art facilities for over 250 dinner guests, 320 conference guests and 360 guests for a drinks party. Designed by Hopkins Architects, this is a stunning, contemporary space which works flexibly for small or large numbers. It is suitable for conferences, dinners, weddings, concerts and similar events. The use of this space can also be combined with any other venues on the estate. Ideal for: Crime Scene Investigation Experiences, The Holkham Bodyguard, Cluedo, Ipad Movie Making, Around the World and many other team building activities. Location: Holkham is within easy reach of Norwich, King’s Lynn, Cambridge and Peterborough, with good road links to London via the A11 and M11. Norwich International Airport is only half an hour away by helicopter and you can land close to the hall in the park.